For 22 months, I was unequivocally smitten and completely devoted to wooing and pursing a broken down Louisiana cottage, built in 1926. Back in early 2014, I heard the Lord call me back to Louisiana. There have only been a handful of times I’ve audibly heard Him speak, but each time was extremely significant, unexpected and altered the course of my life. Of course I always listen when He speaks, but when I hear Him, AUDIBLY, I know I better listen up. I’ve been in love with old houses for as long as I can remember. Yet, I’ve never been blessed to own one. 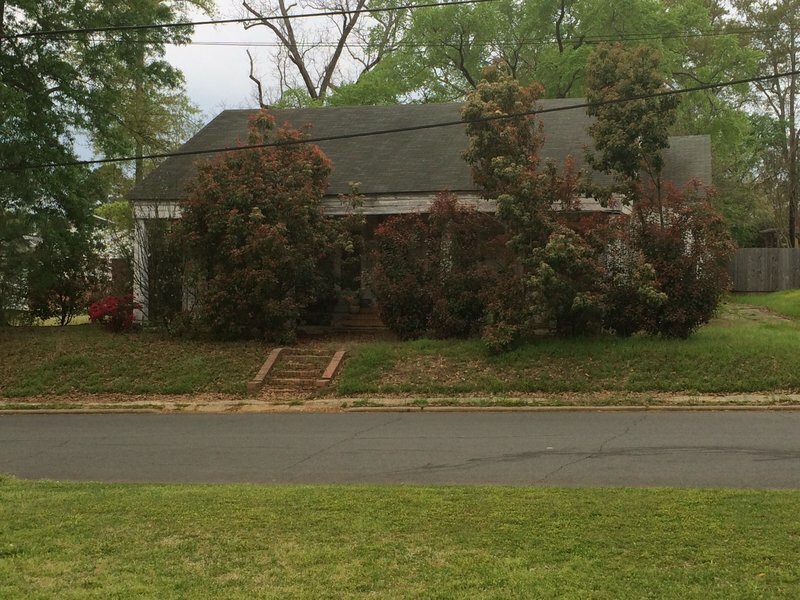 Because life has handed me unexpected opportunities and circumstances, I felt in my bones it was time to fulfill my lifelong dream of owning an old home. So I set out to find the perfect house. I’ve renovated and/or built several houses, so I was definitely not scared of a fixer upper. After searching and searching for about 10-11 months, I found it! 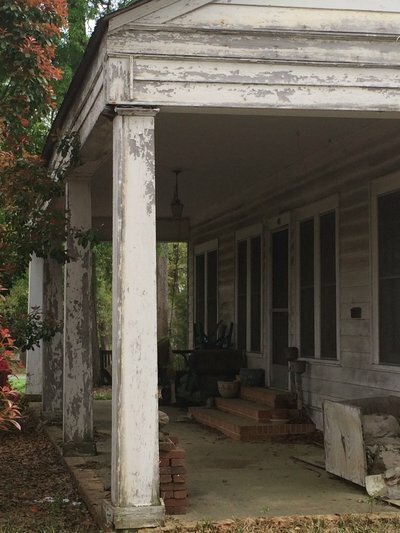 A beautiful, broken down cottage located just on the edge of the Historic Residential District in Minden, Louisiana. It looked abandoned as it was completely taken over by Red Tip Photinias, oak trees, azaleas, daffodils and lots of other southern vegetation. I HAD to find out who owned this home! First, I reached out to the local president of the Minden Historic Residential District. She said that even though it looked abandoned, she was pretty sure someone still lived in the home. On the outside chance someone did, I made a trip to the home before Christmas 2014 to knock on the door. 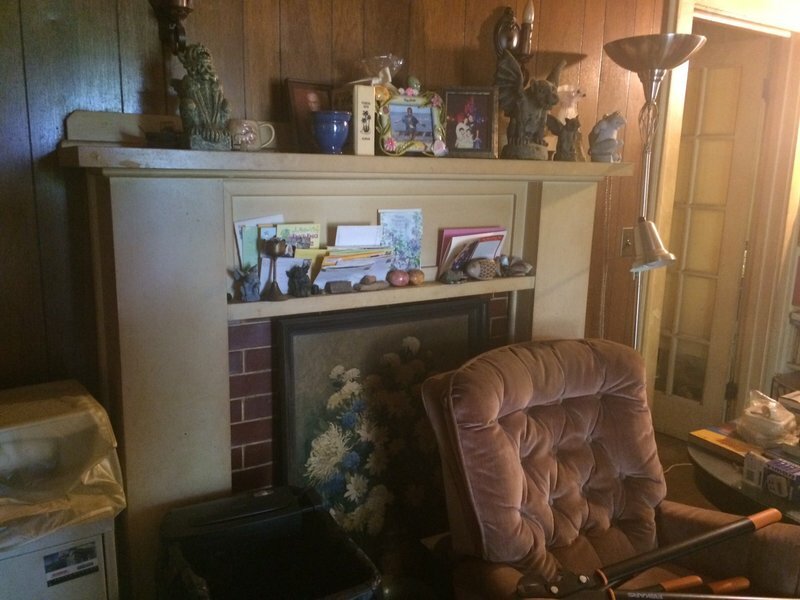 Of course, I was worried the owner would answer and think I was some sort of crazy person for inquiring about the status of the home. But, hey! Nothing ventured, nothing gained! Am I right?! After knocking and waiting for several minutes, no one came to the door. Either the home was truly vacant, they weren’t home or I was being ignored. Next, I researched the Webster Parish tax records to determine the ownership. Sure enough I found the owner and her address was an “in care of” location in Tennessee along with her son’s name. I searched online for any smidge of contact information for the owner’s son. After a few days of super sleuthing, I came across an email address on an obscure website and it appeared to match the son’s same. I drafted an email and off it went. And then, I waited. And waited and waited on a response. One never came. Either I had the wrong person, wrong email address, or they weren’t interested in selling. Because the tax records contained the physical address of the son, I printed the email and mailed it after a week of no response. New Year’s Day 2015 the first communication string began. The son (who I’ll call Tom) replied! Instant HOPE flooded my mind! He didn’t say no! Just WAIT. Tom provided me with the contact information of his brother (who was local) and I was able to have a phone conversation with him regarding the ins and outs of the house. Even though both brothers clearly stated they weren’t ready to immediately sell, my heart raced as I pondered the potential finished project and ministry opportunities. I felt in my bones I had to have this house. Around the time I started praying for the house, a missionary friend of mine introduced a book to me that would change my prayer life: The Circle Maker by Mark Batterson. It couldn’t have come at a better time. I began to pray proverbial and physical circles around the house in Minden. I stayed in contact with the brothers being as pleasantly persistent as I could without totally driving them crazy. The answer was always the same. No immediate change in the plan to sell, but they would definitely reach out should the circumstances change. In June of 2015, I drafted a letter to the lady that owned the house. I wanted her to “hear” my heart and understand why I desired her home. 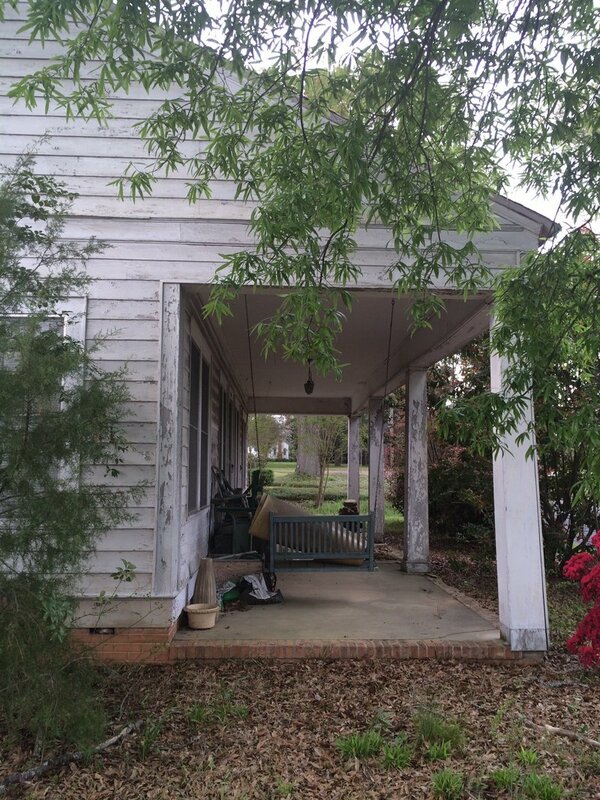 I included information about my story and why my heart was longing to return to Louisiana. I included a few pictures of me so I would become “real” to her. After that time, communication with the brothers became sparse. I wanted to reach out to them EVERY WEEK, but that would have totally been inappropriate. During this time, I doubled down on my prayers for the home. Joshua and the battle of Jericho became the centerpiece of this story. 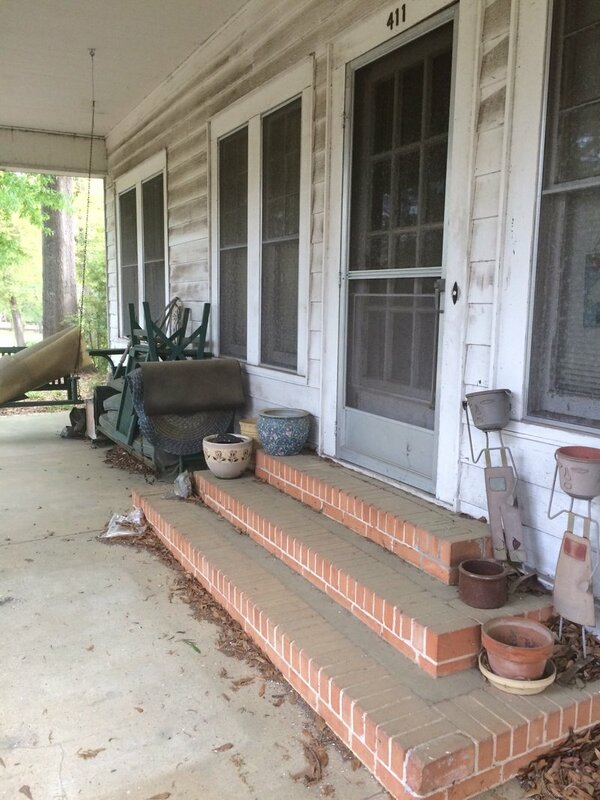 Just as Joshua marched around the walls of Jericho seven times before the walls fell, I marched seven times around this house bathing it in prayer, on multiple occasions. (The brothers gave me permission to walk the property.) Because I lived in Texas, I only made it up to Louisiana every couple of months. And each and every time, I stopped by the house and covered it in prayer. Interestingly enough, the Lord brought the Joshua story to my mind over and over and over during the 22 months I worked to secure this home. What’s even MORE interesting (or divine) is the Lord would bring this story to mind at JUST the moment I became discouraged, thinking I would never secure the house. I remember distinctly on my 2015 trip to Guatemala…. We were doing VBS for a group of children and one of my team members was tasked with choosing a bible story to share with the kids. And guess what story she chose? JOSHUA AND THE BATTLE OF JERICHO! She had our group act out the story; a group standing in the middle and another group marching around the middle group seven times. I was part of the marching group. And I marched around that group of kids (the Minden house) and whooped and hollered just as loud as they did when those walls fell! I KNEW the walls would fall for my house too! On various occasions, the Lord would bring up the Jericho story through a bible study, verse of the day, tweet or even a Facebook post. I held tightly to this story the entire 22 month wait. My mom and I knelt in the backyard of the home and prayed. My mom and dad prayed over the house when I returned to Texas. I also shared the house with a few close prayer warriors. They began covering it in prayer. In my neighborhood in Corpus Christi, there is a two mile circular path I walk every morning. I mentally placed the house in the middle of that circle and prayed as I walked around it. I continued to pray and believe and circle the house in prayer for the entire 22 months it took me to secure it. Then on September 10, 2015 a BREAKTHROUGH happened (or so I thought). I woke up early, looked at my phone and had an email from Tom. SURPRISE! I remember being in a hotel and I’m sure I woke up the neighbors when I squealed with excitement. At this point I still hadn’t seen the inside of the home and REALLY needed to get inside to assess the condition before I could wholeheartedly commit to a purchase. In October 2015, I made a quick weekend trip up to Louisiana JUST to see the home. The brother was on call for work and told me there was an outside chance he wouldn’t be able to make it, but hopefully he could. That was enough for me to risk making the trip. I arrived on late Thursday and was flying out on Sunday, so that would give us two whole days to make it happen. Friday came and no word. Saturday came and I received a text. He wasn’t sure he was going to make it. Sunday morning I was driving to the airport when a text came in that we could meet within the hour. If you know me, you KNOW I’m Type A and don’t operate last minute! But I whipped the car around and was able to take a quick walk through before heading to the airport. 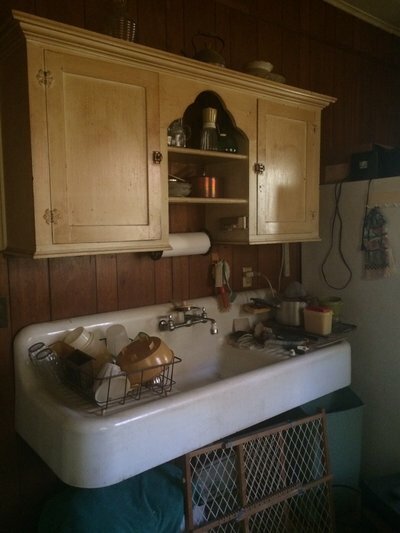 And I immediately fell deeper in love once I saw the inside and learned more about the history of the home. The brother and his wife were so kind to take time to really detail all the interesting facets that make up the character of this beautiful piece of property. Since I had now seen the home, I KNEW I wanted to move forward. I reached out to Tom to discuss next steps. He wasn’t sure exactly how to determine a price or conduct the real estate transaction. I suggested an appraisal, but also had a realtor friend pull comps. In addition, I contacted a local attorney for a real estate contract. In November 2015, I sent my offer over to Tom. And I waited….and waited….And it felt like the trail went cold. I was getting no response. Was he insulted by my offer? Did they decide not to sell? Finally after Christmas 2015, I talked to Tom and he said they were “close.” But after that conversation, the trail went cold for the next two months. I was devastated! I thought we were there! Lent 2016 was fast approaching. I’ve never given up anything for Lent. But a sweet friend suggested I give up the house for Lent. Continue to pray about it for sure, but not dwell on it as I had. Not contact the brothers, just let it ride. I was becoming increasingly discouraged by the day. I turned my attention away from this little cottage and began actively looking for other houses in the area. I’d be lying if I said doubt didn’t consume me. I didn’t understand how we could get THIS far and the house just slip away. But yet I just couldn’t let it go! I continued to drive by when I was in town and pray circles around it. I laid hands on the house and prayed. I knelt on the porch and prayed. May 2016 (18 months after finding the home) rolled around and my discouragement was at an all time high. After looking at several houses and spending HOURS driving all over southwest Arkansas, east Texas, Little Rock, Hot Springs, and northwest Louisiana, there was nothing. I was at a dead end. I couldn’t bring myself to settle for a house I didn’t just love. One week in May as discouragement consumed me, the Lord gave me the Jericho story THREE TIMES… in a week! THREE TIMES. That was significant. I asked my life coach what she thought that meant. She (and several other praying friends) felt all along the house was going to work out because no other doors were opening. She felt the Lord was giving me tangible signs of hope and strength in the waiting. So I began to hold even more tightly to His promises. August 2016 came around and I hadn’t checked in with Tom in a while; so I sheepishly sent over another text. You know the “hey, it’s me again” text. It almost got to the point where it felt awkward, but I just couldn’t let this house go! The next 4-5 weeks were a blur. Since the email in September 2015, I have carried around a contract in my computer bag so I would be ready when the “let’s proceed” moment came. I was ready and sent the contract over to him the same day. I was cautiously optimistic, and honestly a little frightened I would get my heart broken again. But the very next day, the contract was returned, completed, and the countdown to closing began. For 5 weeks I was on pins and needles. I couldn’t believe after all this time, it was just going to be this easy. There were a couple of significant closing hurdles the sellers had to overcome and I was scared for sure, but I held tightly to the verses above and prayed circles all the way through to September 9, 2016 when the home officially became mine. When it was all said and done, I couldn’t believe it. Just like that, I owned the house of my dreams! I wept. The Lord made good on His promises AGAIN! Why do I ever doubt? He is FAITHFUL and TRUE. I cried tears of joy and gratefulness. Like Honi in The Circle Maker, I believed and prayed the vision all the way to fulfillment. I have NO idea what’s in store for me and this little Louisiana cottage. But, it will represent a personal journey of faith and a trying, yet fulfilling season of waiting. He sustained me and ordered my steps. Glory be to God for the blessing of this home and the way He will use it to touch the lives of others. 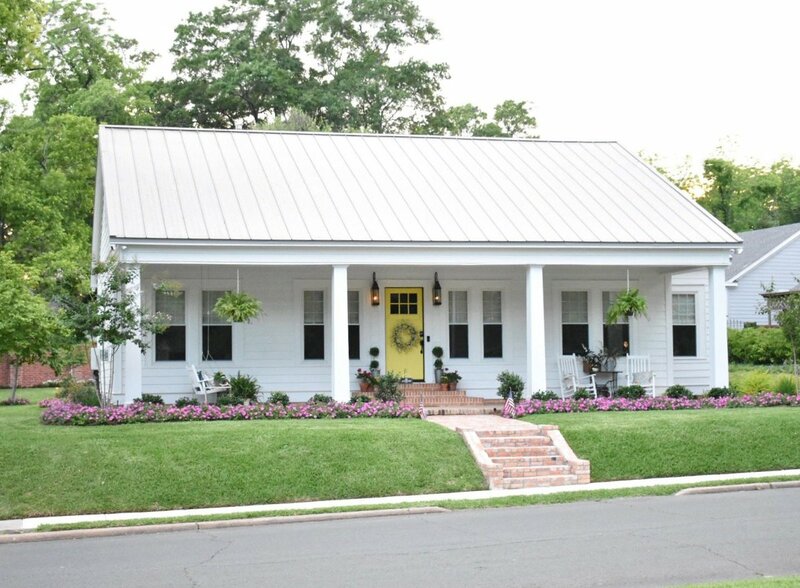 Welcome to my Simply Southern Cottage!